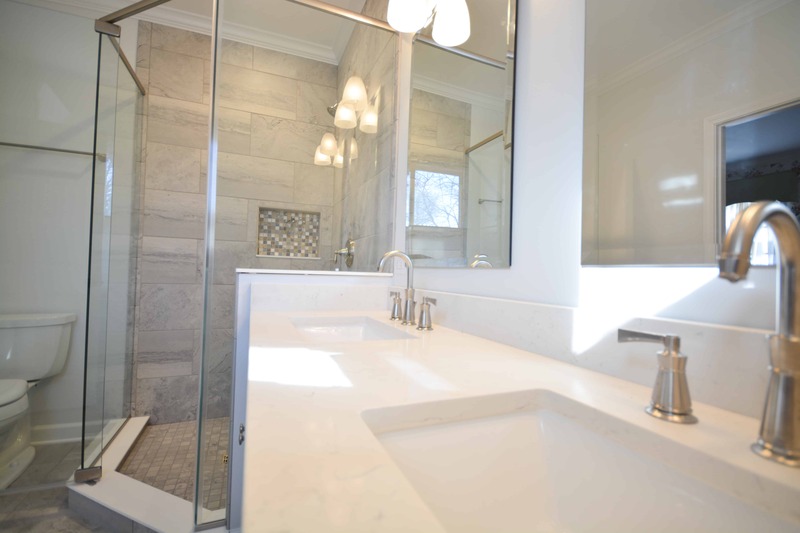 The client wanted to convert her master bathroom into a spa-like retreat. 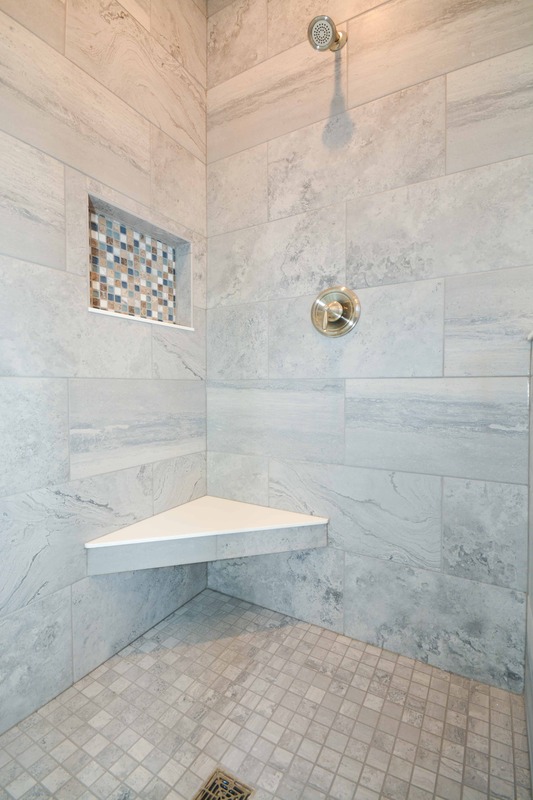 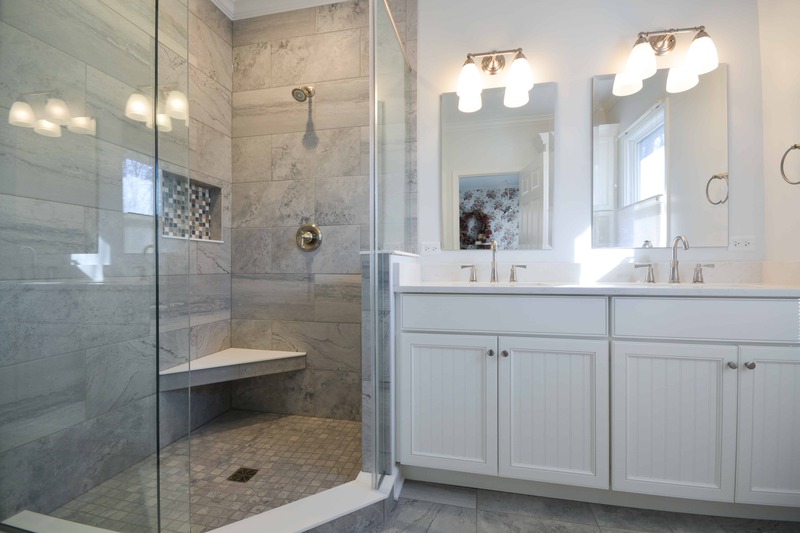 BGH Construction replaced the bathtub with a large shower to create an open and airy space. 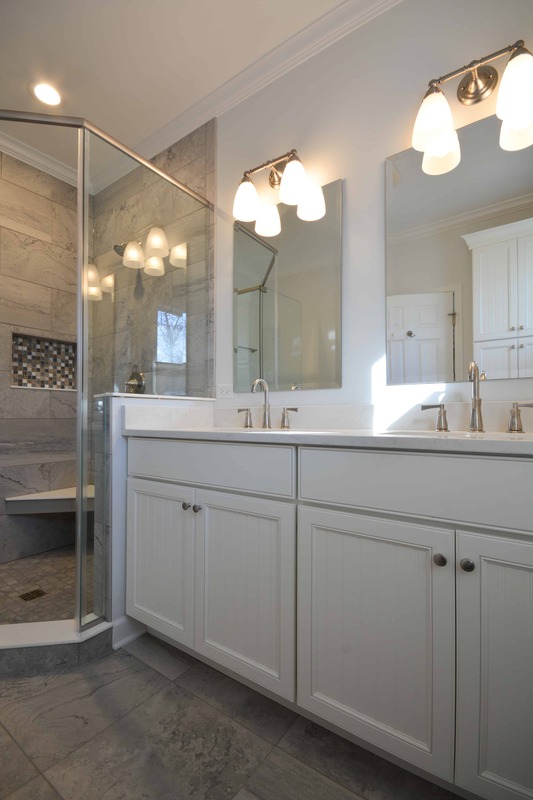 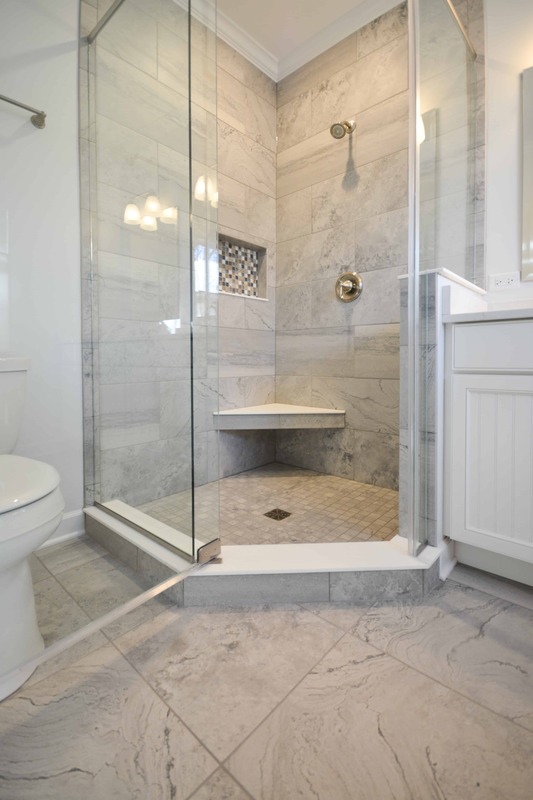 New Yorktowne cabinets, porcelain tile, quartz countertops, plumbing fixtures, and paint changed this outdated space into the master bathroom of her dreams.